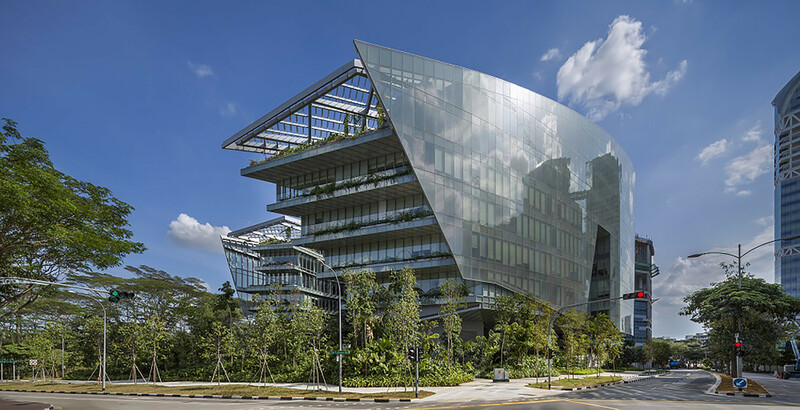 The Sandcrawler in Fusionopolis is probably the coolest office building in Singapore. Besides the uber cool Lucasfilm Singapore, we also know that the Government Digital Services unit from GovTech has also made a home there. Well, another familiar Singapore name has since moved in, and it’s none other than DBS. 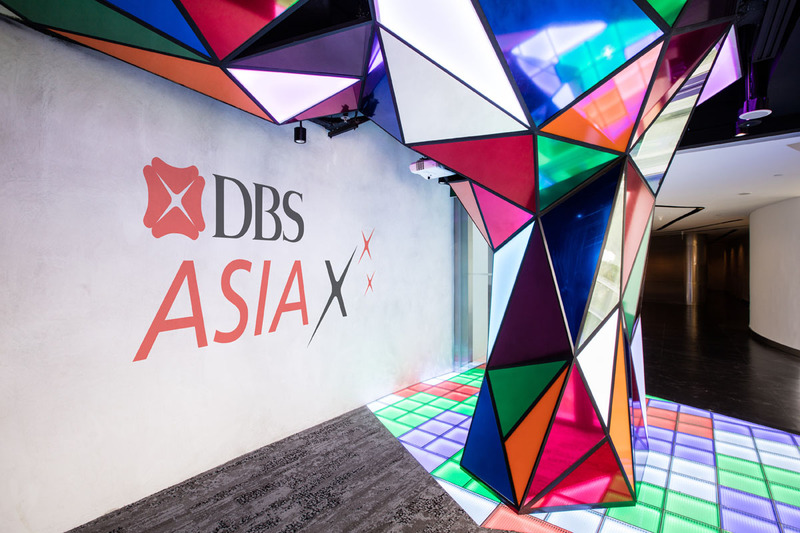 DBS Asia X (DAX) is the name of the bank’s swanky new office, and with it, throw away all of your misconceptions about the typical office you would expect of a banking establishment. From the moment you step in, you are greeted with vast open spaces, and greenery everywhere. Coffee at the pantry is handled by Bettr Barista, a social enterprise startup which trains baristas through their programs. You will not spot any cubicles in here. Instead, clusters of tables litter the office space, with meeting rooms at the side enclosed by full glass doors and panels. What DBS has created here, is in essence a co-working space that spans 16,000 square feet. 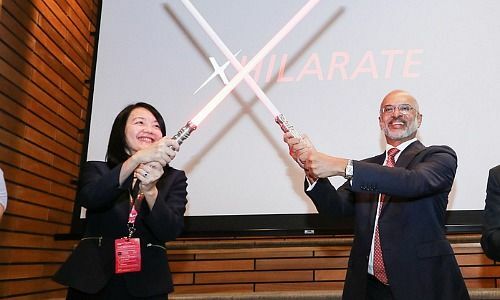 At the launch of the new space, even lightsabers were crossed as CEO Piyush Gupta declared DAX opened in the heart of a building that’s all about Star Wars. For DBS, the launch of the DAX is the culmination of their pursuit in furthering its digital transformation agenda. CEO Piyush Gupta has often been quoted as saying that banking is the perfect sector to be disrupted and to go digital, because all banking essentially is, is data, facts, figures, words, and numbers. 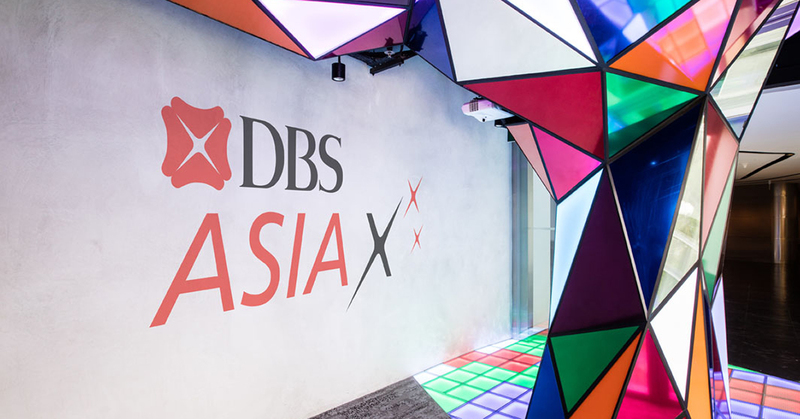 The launch of the DAX comes at a time when DBS was also hosting the inaugural Singapore FinTech Festival, where many promising startups in the FinTech arena congregated – including those who part of DBS’ Hotspot accelerator program. Adopting a human-centred design thinking approach to their projects, DBS has been heavily invested in agile methodology and other digital concepts to transform their employees. 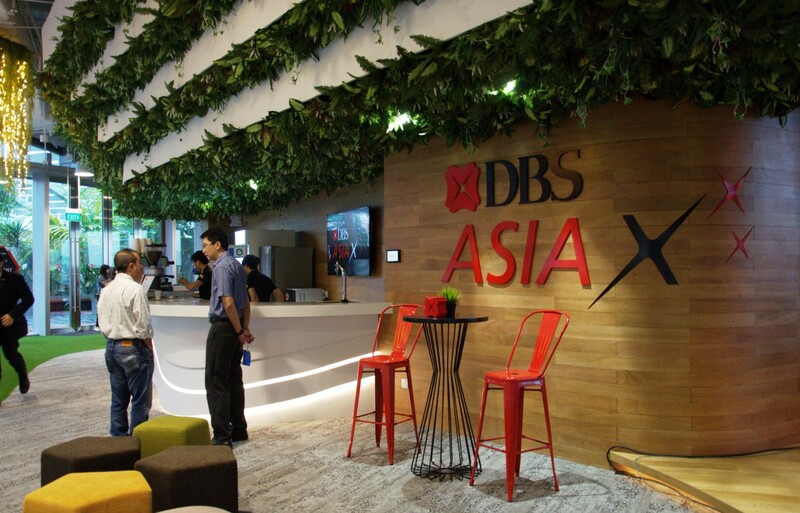 Here, on top of DBS’ employees, there are also startups, social enterprises, and students; and together, they will be able to foster closer collaborations to envision the future of banking. The entire startup ecosystem is important to DBS because they are the ones devising the next generation of banking solutions. The DAX is designed specifically to address both the needs of the startups by giving them a space and required support, and to also foster closer collaborations between them and DBS. 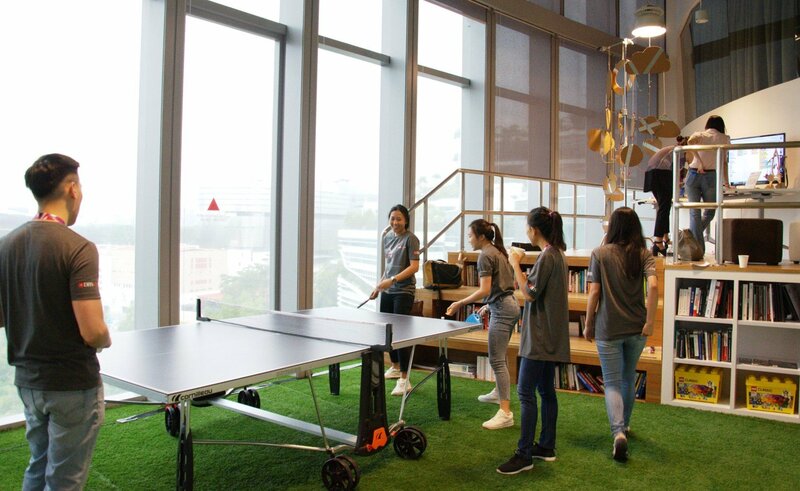 Aside from just tables and chairs, employees and startups get to make use of other facilities such as activity rooms where they can play a game of table tennis, or read up on books from the mini-library. DBS also intends to take on a two-pronged approach when initiating engagement. First, is to establish a ‘FinTech Foundry’. Squarely aimed at startups, this program will encourage regular partnerships with DBS to prototype ideas, as well as to develop mobile and web banking solutions. The 12-week program will initially focus on customer-centric concepts related to insurance, deposits, payments, wealth management and cyber-security. Startups stand to gain immense support from the bank through this, with DBS’ tech specialists, user experience designers, ethnographic specialists and data scientists all now within an arm’s reach. 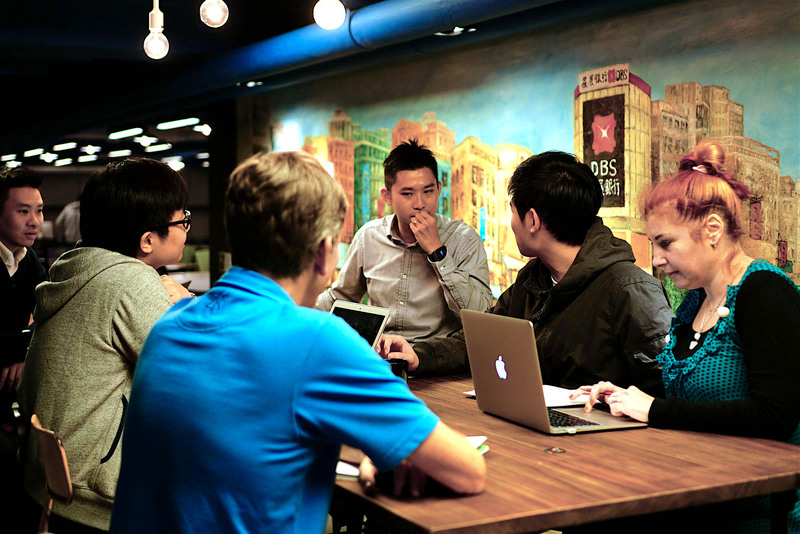 Next, DBS will hold regular API hackathons that will be open to startups, SMEs, and Social Enterprises. Regular API hackathons will involve start-ups, SMEs, and Social Enterprises interested in finding ways to innovate and seamlessly integrate banking into the lives of customers and the communities they serve. 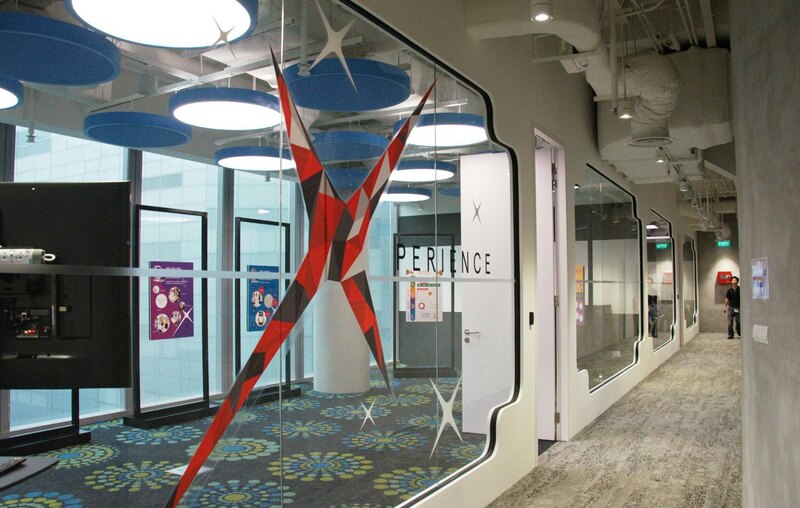 Perhaps the biggest masterstroke in DBS’ part was to situate their new office space at the heart of one-north. 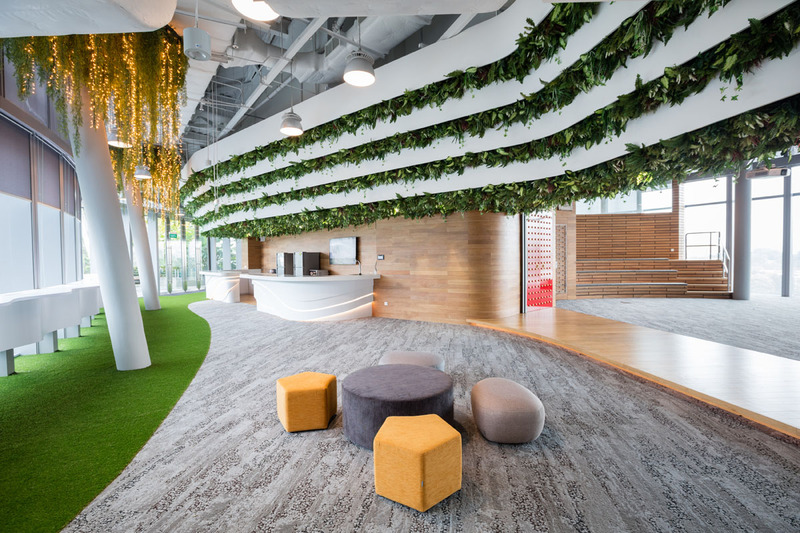 Away from the ‘traditional’ Central Business District of Raffles Place, and Marina Bay where DBS’ headquarters are, being located in Fusionopolis gives them a unique opportunity to advance their path to digital transformation. This is a place that some describe as Singapore’s answer to Silicon Valley, a melting pot of startups and innovation, and the bank stands to gain from the many potential tech partners in the vicinity. If anything, DBS is more than ever in a prime position to lead Singapore’s banking sector into the digital future.